As the Joburg racing season starts to quieten down for the winter, and before the Champions migrate to the warmer tropics of Kwa-Zulu Natal and the much anticipated Vodacom Durban July day, we finish off with just one major clash of the titans and that’s on Saturday, 5th May- Champion’s Day. With twelve races carded on the day, it includes not one, but 3 Grade 1 races. 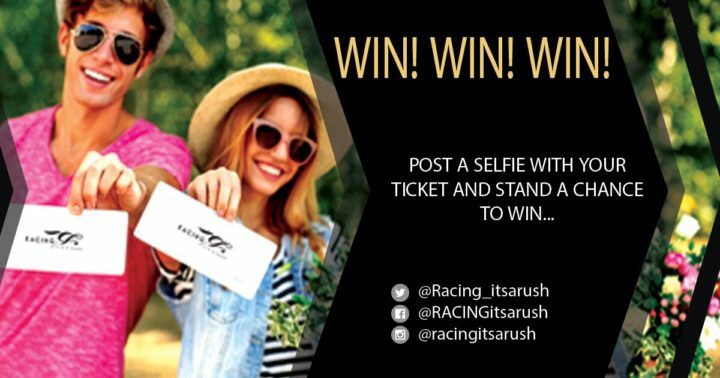 Day’s like this don’t come along often and it’s for this very reason that you should be making your way down to Turffontein Racecourse next weekend. Our racing hero- “TakingThePeace” definitely set the course alight when she won the 2nd leg of the Wilgerbosdrift Triple Tiara series. 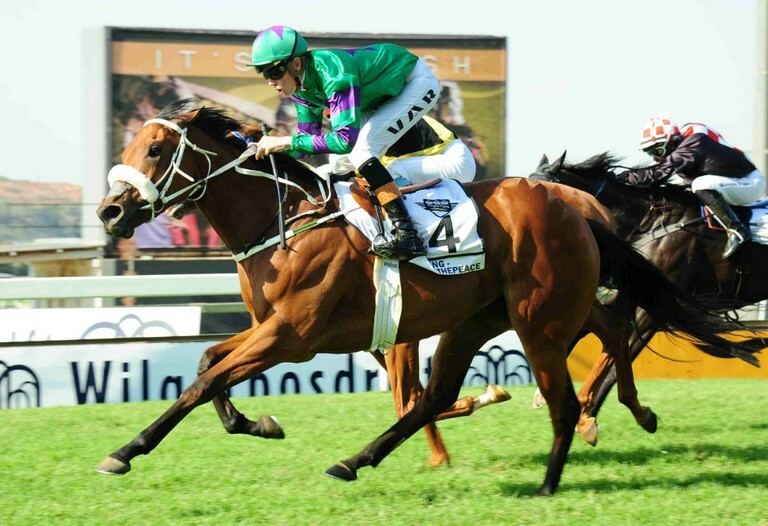 This little filly is a serious contender for winning the Wilgerbosdrift Triple Tiara series (only 2 other fillies have ever done this in this events history in South Africa) and there is no doubt that the course will be buzzing when the final leg- the Wilgerbosdrift SA Oaks over 2450m takes place. Under the young gun jockey- Callan Murray, they have a superb bond and we hope for a new addition to our history books come next week Saturday. Two time Horse of the Year and King of the Turf’- Legal Eagle takes on the a superb 13 horse field in the Grade 1 Premier’s Champions Challenge over 2000m. And although we aren’t going to be witness to a Triple Crown winner in 2018, the field of the S A Derby, is nothing short of spectacular and there is no doubt that the Stuart Pettigrew trained Surcharge, who ran 2nd in the S A Guineas to Monk’s Hood and the S A Classic to Lobo’s Legend is going to give the field a run for the R2m purse. Now for the fabulous addition to a day of spectacular racing and to acknowledge our rainbow nation which includes so many cultures, the Intercontinental Village. With cultural dance performances and food on offer, every member of your family will be taken on a culinary trip around the world. If it’s pizza & pasta you fancy- or a tasty Paella, there will be something for everyone. A relaxed and chilled autumn afternoon, with the Joburg skyline as your backdrop doesn’t get better than this and a day of family entertainment is guaranteed. Not only are the visitors to the course in for a treat, but so are around 13 charities who will each receive a donation to their great cause. This year, we have identified a large amount of animal charities that are in desperate need of assistance and we are pleased to be once again, be on the giving end of the spectrum. Representatives from each charity will be on course to receive their donation. The ever so posh and stylish Racing. It’s a Rush Member’s Lounge has two spectacular find dining packages on offer- tickets can be booked through www.webtickets.co.za and although tickets can be purchased on the day- we restrict the number of people to this venue to ensure that only the best experience is had by all. In keeping with the Sport Of King’s image- a strict but elegant dress code applies in the Lounge. Men are required to wear jackets and ladies, stylishly elegant is the order of the day. Patron’s of the lounge will be entertained by live DJ’s between the races and of course the celebrations go on well into the night. Don’t be surprised when rubbing shoulders with a few of Joburg’s elite socialites as they weave their way through the Lounge. There are plenty of alternative hospitality options available from cafe/ vendor style picnic tables to 3 course buffet meals in the various rooms throughout the main building.